Study results published in the February 15, 2016, issue of the Journal of Clinical Sleep Medicine indicate that insomnia and nightmares appear to influence depression symptoms specifically through the pathway of explicit emotion regulation difficulties. “Sleep disturbances may impair the ability to access and leverage emotion regulation strategies effectively, thus conferring risk for negative affect and depression,” wrote the authors. The study included an Internet-based survey of 880 current and retired United States firefighters, aged 18 to 82 years, who answered questions regarding behavioral health. Self-report measures included the Center for Epidemiologic Studies Depression Scale, Insomnia Severity Index, PTSD Checklist, and Difficulties in Emotion Regulation Scale. Nearly 40% of participants reported clinically significant depression symptoms, more than one-half reported insomnia symptoms, and about 20% reported nightmare problems, all of which demonstrated a strong association with emotion regulation difficulties. Bootstrapped mediation analyses showed that the indirect effects of overall emotion regulation difficulties were significant for the association between insomnia and depression as well as between nightmares and depression. Limited access to problem-solving skills, the ability to decrease negative emotions, and other emotion regulation strategies emerged as the strongest, most significant indirect effect for both associations. “Our study findings suggest that firefighters with sleep difficulties are likely to experience greater struggles accessing strategies to regulate their emotions, especially when feeling upset. This, in turn, may lead to or worsen feelings of depression and low mood,” said lead author Melanie Hom, MS, a doctoral candidate in the Laboratory for the Study and Prevention of Suicide-Related Conditions and Behaviors within the Department of Psychology at Florida State University. “These results are important because they provide a plausible explanation for why and how sleep problems may contribute to depression, which are critical questions for prevention and intervention," Hom said. The findings may shed some light on approaches to treating the estimated 30% to 35% of people in the United States with transient insomnia symptoms—according to the American Academy of Sleep Medicine—as well as the 10% of adults affected by chronic insomnia (occurring at least three times weekly for at least 3 months) and the 2% to 8% of the general population who have a current problem with nightmares. The study results maybe also be encouraging to those with trauma-related nightmares, the most consistent problem reported by people with PTSD. “Firefighters are typically faced with many demands, including difficult work schedules, and they often both witness and experience traumatic events,” said Hom. 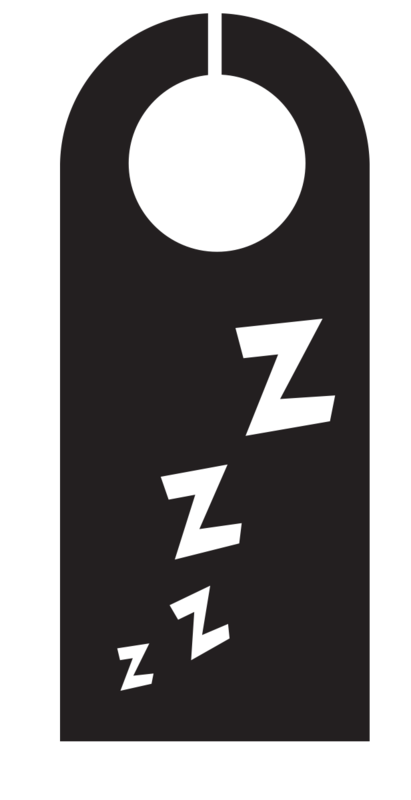 “It is not surprising that firefighters may experience sleep problems and depression, but it is critical that greater efforts be made to prevent and treat these problems.” She and her co-authors suggest that emotion dysregulation may be an important therapeutic target for reducing depression risk among firefighters and others who experience insomnia and nightmares. Sleep problems are a common symptom for people who are recovering from traumatic events. One’s usual methods for falling asleep may no longer work. Disturbing thoughts of reenactment, rescue or reunion may interfere with one’s sleep cycle. Nightmares and sleep terrors occur in response to adjusting to shattered realities. 1. No reading or watching TV in bed. These are waking activities. If your insomnia is chronic, it is not a good thing to do, says Dr. Alex Clark, Director of Stanford Sleep Disorder Clinic in Palo Alto, CA. 2. Go to bed when you’re sleepy-tired, not when it’s time to go to bed by habit. 3. Wind down during the second half of the evening before bedtime. Don’t get involved in any kind of anxiety-provoking activities of thought 90 minutes before retiring to bed. 4. Do some breathing exercises or try to relax major muscle groups. Start at the toes and work up the body all the way to the forehead. 5. Your bed is for sleeping, so if you cannot sleep after 15-20 minutes in bed, get up and do something relaxing. 6. Have your room cool instead of warm. 7. Don’t count sheep—counting is stimulating. 8. Exercise in the afternoon or early evening, but no later than three hours before bedtime. 9. Don’t overeat or eat two to three hours before bedtime. 10. Try not to nap during the day. 11. If you awake in the middle of the night and can’t get back to sleep within 30 minutes, get up and do something relaxing (no TV or reading anything stimulating). 12. Have no caffeine, alcohol or cigarettes two to three hours before retiring to bed. 13. If you have disturbing dreams or nightmares repeatedly, try to add an ending you enjoy or like better. 14. Keep a sleep journal. Thirty minutes before you go to bed, write down your concerns and hopes. It frees up your sleep from processing your dilemmas. 15. Listen to calming music or recorded sounds (ocean, forest, birds, crickets, brook) before bed. If sleep problems persist, contact your physician or mental health professional. Let them know what is happening in your life. Your problem may have either organic or psychological contributors. Sleep disorders are considered chronic if they persist over more than one month. Since 1918, members of the Ohio Association of Professional Fire Fighters have been on the frontlines protecting lives and property of citizens across the Buckeye State – just as the OAPFF has been there to protect the interests and health and safety of those first responders.